In the 2012 US Presidential election, only 38% of 18 - 24 year olds voted compared to 76% of 45 - 64 year olds. What does that mean for us? People who are much older than our generation have a lot more influence on the policies that will affect us the most. We wanted to bridge this gap by empowering youth in understanding presidential candidate platforms. Instead of blindly voting for the candidate with the most media noise, we wanted to elucidate each candidate's stance for a variety of common issues. By making this information clear and easy to monitor, we hope that the younger generation will start to participate more in politics since it determines so much of our future! 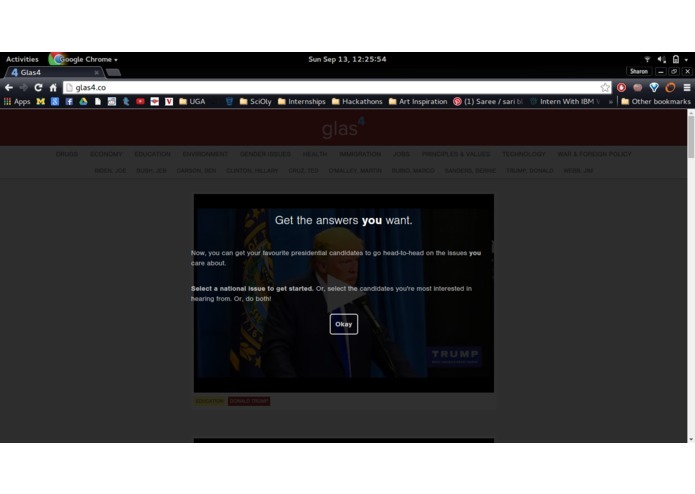 Using text processing algorithms from Indico and transcripts of speeches and interviews on YouTube, Glas4 assembles a collection of video snippets of candidates organized by topic. 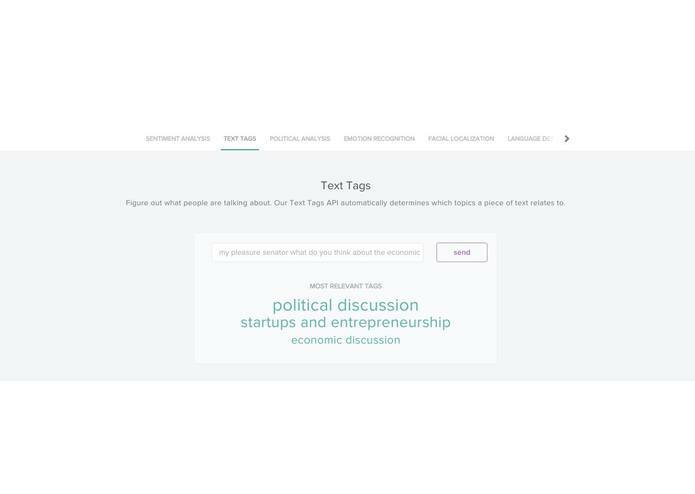 You can organize the snippets to get a clear, bite-size view of each candidate’s thoughts on the issues, in their own words. For the backend, we used the Indico text processing API and applied it to text captions extracted from a set of YouTube videos, implementing our code in Python. I worked on implementing the Indico API in Python to scan video captions and construct keyword data. I also wrote scripts to extract leading candidates from HuffPost polls. I worked on designing and coding the frontend using Sketch and React. 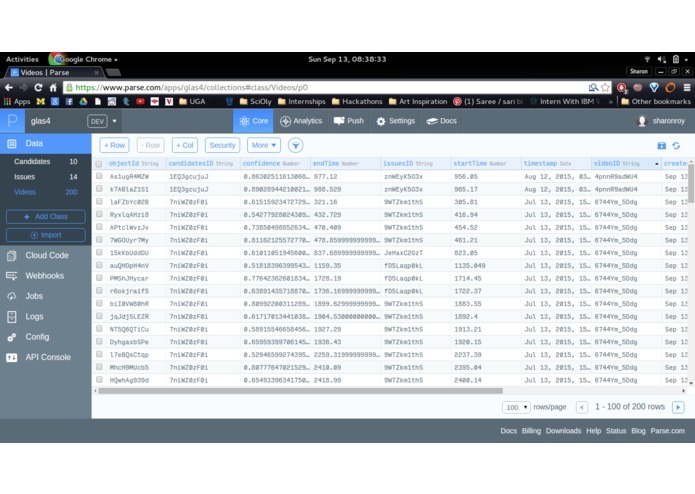 I also helped write the data binding to pull data from Parse into Flux stores. 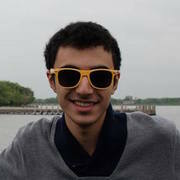 I worked with Parse for filtering videos by candidate and issue.